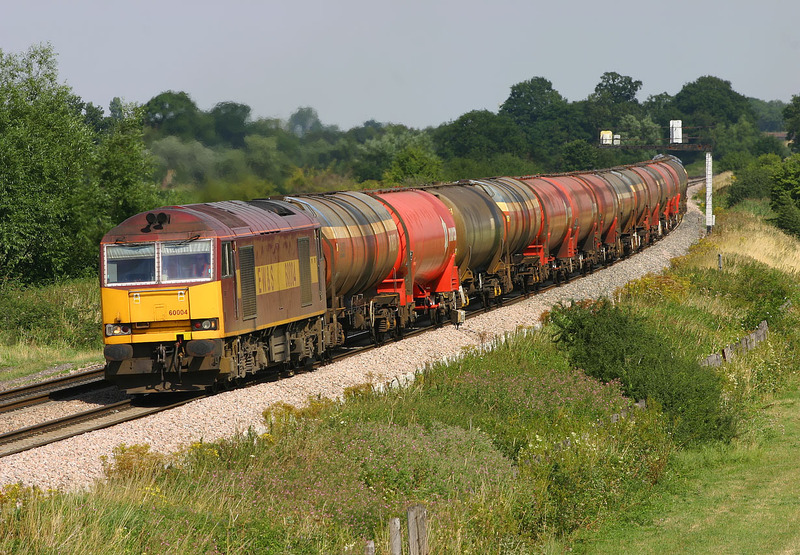 60004 accelerates away from a signal check at Shrivenham with the 6B33 13:30 Theale to Robeston Murco oil empties on 8 August 2006. All down trains were being stopped at the signal pictured here due to a signaling fault a mile further up the line at Bourton. An excellent excuse to use a slow shutter speed of 1/250sec to gain extra depth of field on a 200mm lens! During my three hour visit, one HST actually ran wrong line using the up line. The Great Western main line has been signaled for bi-directional working for many years, as can be seen from the two signals on the gantry in the background. However, it gets very little use.